My blue ski, a not so stock anymore, 2000 GP1200R. 78+ mph spinning a Solas Dynafly 14/20 pitched at 15/25 7140 rpm. Over the past couple years I have had a lot of help from other forum members. I used all of this input when putting together this ski - as always - thanks guys. These cylinders were not ported. Installed a Riva 3 piece cast performance head that was machined to further raise compression. Compression is now 170 lbs, squish is .045 in. I am only using 1 layer of a GP1300R head gasket. Previously I used 2 layers of the gasket. My compression was 160 lbs and the squish was at .050 in. My top speed and rpm numbers did not increase when I raised the compression to 170 lbs. With 1200 cylinders (regardless of the CC) you want to use a 1200 head gasket. Likewise with 1300 cylinders you want to use a 1300 head gasket. In 2005 Yamaha used larger holes in the cylinder head gasket for cylinder #3 which will improve cooling due to increased water flow. OEM power valves with the R&D replacement PV arms were installed. I also use the RPM couplers version 1 to remove the slop you get with the crappy OEM couplers. Don't bother attempting this if you are not using either the waveeater couplers pr RPM couplers. 2) Slide the protective rubber cover back so you can see the wheel where the cables connect to the servo motor. 3) Remove both PV cables, in the middle of the cables are adjustable turnbuckles covered by a rubber cover - cut off the rubber cover and then completely open up the turnbuckles and clean up the threads using a wire brush - you want them so you will be able to turn them freely by hand on the water. 5) Rotate the wheel so the PVs are all the way open. The electrical connector is still disconnected so the PVs will stay in whatever position you set them in. 6) Go for a ride, record your RPM at WOT. 7) Continue doing speed runs, after each run close the valves a bit, record you RPMs. Find the sweet spot that gives you your maximum RPM. Connect up the electrical connector. Using the adjustable turnbuckles adjust the cables so the valves do not open fully at WOT. Using the adjustable turnbuckles you are trying to get the valves positioned at WOT to be the sweet spot you found in step 7. To do this you might have to change where the cables are positioned where they connect to the motor. By adjsuting the 2 nuts on each cable that hold them in position you can lengthen one of the cables and shorten the other. I found step 8 to be a royal pain - be patient - to be honest, I haven't yet been able to get them perfect - but I have gained 30 - 40 rpms so far. Fuel Sender The black trap door was removed. 1) Disconnect the red fuel selector switch from the fuel circuit and remove it. 2) Use the reserve feed siphon tube from the fuel sender for the feed line to the carbs. The reserve siphon tube is longer and provides a more consistent fuel delivery. 3) Feed the primer with what was previously the main siphon tube from the fuel sender. 4) For the OEM GP1200R carbs you can disconnected the accelerator pump by removing the cam that activates the pump. You can then use the accelerator pump feed fuel lines and fittings on the carbs with an aftermarket primer kit. For a US ski the accelerator pump only provides fuel to cylinders 1 and 3 so you will need to add a fitting for cylinder number 2. For a European ski the accelerator pump feeds all 3 cylinders. 5) Mount the primer plunger in the spot the fuel selector switch was in. Note: As an alternative to using an aftermarket primer you can simply leave the accelerator pump fuel lines connected to the accelerator pump and manually push on the accelerator pump plunger to prime the ski. I am using an old style Riva GP1200R ride plate. Other good choices are the old style R&D GP1200R plate or the new style R&D GP1300R plate. 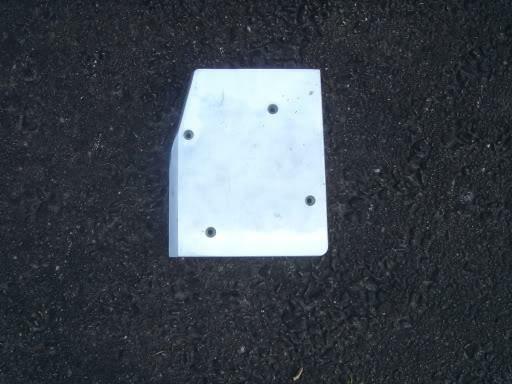 In order for the rideplate to fit, the bottom of the pump and the bottom of the pump nozzle will have to have some material removed to provide additional clearance. This is a simple process and you can do it yourself with a hand grinder. When installing the plate I will be positioning it so the center section of the plate is on a 4.7 to 5 degree angle to the hull. Instead of using angles many people measure the distance the rear of the plate is above the bottom of the hull - the target measurement that many people use is .950 inch. At the same time ensuring the sides of the ride plate don't sit lower than the pump shoe and hull. Always check this with a straight edge. It is OK to have a small step up from the shoe to the center flat section of the rideplate. My step, measured at the side of the plate is .020 in. Try adding more angle on the plate, do small steps at a time. There is a sweet spot for the rideplate angle and with every plate / ski this spot is different and it is worth trying to find it. When adjusting the rideplate angle you need to use small changes. With my plate I saw a 1.5 mph difference with a .020 in shim on the rear of the ski. I left the skegs on the rideplate. A rideplate with skegs will corner harder than a plate with no skegs. If the skegs are removed, the ski will have a tendency for the rear of the ski to slide around a corner. All things being equal a rideplate with the skegs removed will be faster than a rideplate with skegs. Rear section of trim tab was cut off. This makes the trim tabs the same length as OEM tabs. The R&D trim tabs are thicker and angled that is why I prefer them to the stock tabs. When I use the stock trim tabs I shimm them down with 2 washers under all 8 bolts. I use a set of Danny's custom stepped sponsons that he is selling. Another option is the OEM sponsons in the stepped position. I prefer my Danny sponsons because they provide improved cornering. I am using a GP1300R waterbox and sound suppression box. I saw no gain when I added the 1300 waterbox. Others have reported a small gain when they switched to a 1300 waterbox. The 1300 waterbox is quieter than the 1200 waterbox. I do not use a free flow. The free flow is very loud and it slowed me down approx. 1 mph. I drilled a whole in the exhaust mounting bracket. This allows you to see the tuning T handle on #2 carb. I did not install the Jetworks mod. I find the Jetworks mod provides very little gain and it makes the water lines more complicated which increases the chance of a water leak. I am using a R&D CDI with a custom R&D BB curve. R&D offers curves they developed for their 1360 big bore motor. These curves work well on high compression (160 to 170 lb) motors. With compression this high the Advent 94 or 84 curves have too much timing and they actually reduce your top speed. With compression this high a stock CDI would have also been a good choice. In stock form the GPR motor is starved for air. You can raise you RPMs by allowing more air into the motor area. To fully satisfy the motor air demands it doesn’t take much. Create an air opening on the right hand front cowling (to match the left hand cowling). Use a sharp exacto knife and cut away the black plastic as shown above. I have also cut holes as shown above in the inside layer of the windscreen and in the top of the storage bucket. If you don’t want to make the holes in the storage bucket you can simply remove the storage bucket and leave it at home when you do speed runs. I have 2 storage buckets, one with holes and one without. I use the storage bucket without holes on rough water days when I am concerned with water intrusion. 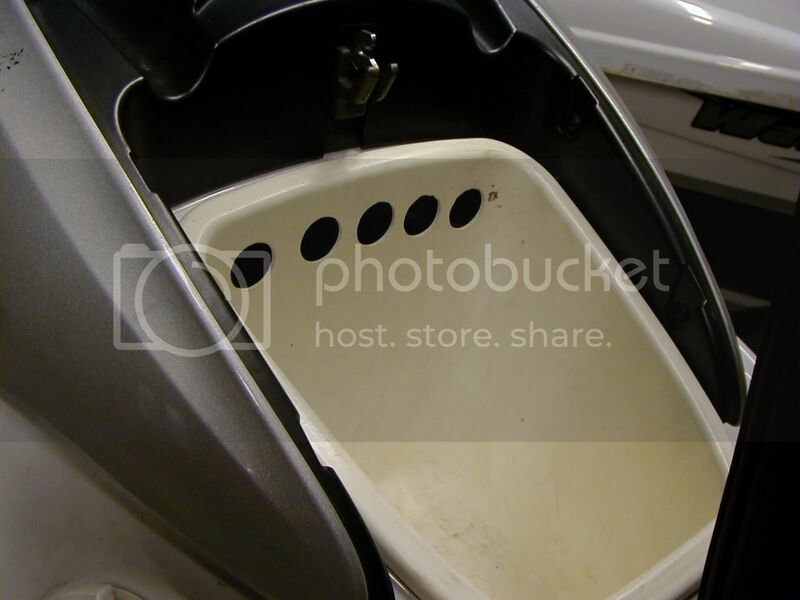 Do not cut holes in the windscreen and storage bucket if you ride in the surf. The cheap crappy stock one works fine - it just breaks and that was the reason I replaced it - I saw no speed gain from the Protec nozzle. Delta VForce II reeds. While no custom spacer plate is required I am using a spacer in an effort to improve reed life. Accelerator pump disabled. I disabled the accelerator pump by simply removing the cam that pushes on the pump. 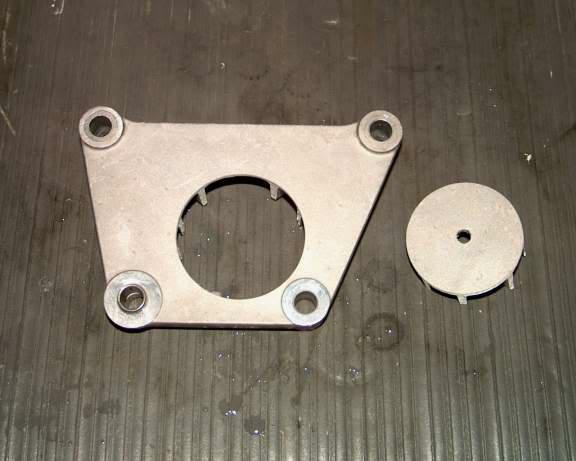 The choke plates were removed. I intentionally used this jetting which is rich on the low end. My thinking was it would facilitate cooling the motor down between speed runs. Despite being rich it still runs clean throughout the complete rpm range. When using Novi's you have to ensure the carb bodies are aligned with the openings in the intake manifold. In most cases to get this correct you have to elongate the mounting bolt holes in the carbs a bit so you can slide the carbs to one side. After installing a PPK you should take a long straight edge and see if the pump shoe is sitting down below the hull line. If it is, it needs to come off and be reinstalled. When I install the PPK I do not use the rubber pieces that sit in the holes in the bottom of the shoe. (this way I never have the problem of the shoe sitting too low) When sealing the shoe to the ski I focus my effort on ensuring the large gap between the pump shoe and the transom is filled with fast cure 3M 4200 or 5200. I make sure the shoe and hull mating surfaces are completely clean. I remove the foam strip across the bottom edge of the shoe - it always comes off eventually anyway. Use rough grit sandpaper on the shoe and the hull to get a proper bond. Before applying the 3M I clean everything using carb cleaner, acetone, 95 % alcohol or some really good cleaner. Wear vinyl gloves and use masking tape on the hull and shoe to keep excess silicone off the hull. When mounted, I want the shoe to be recessed up into the hull. I found the sweet spot to be a range between .05 to .07 inch. By this I mean the shoe riding surface is .05 to .07 inch higher than the bottom of the hull. Incidentally .070 in this happens to be the thickness of a nickel. 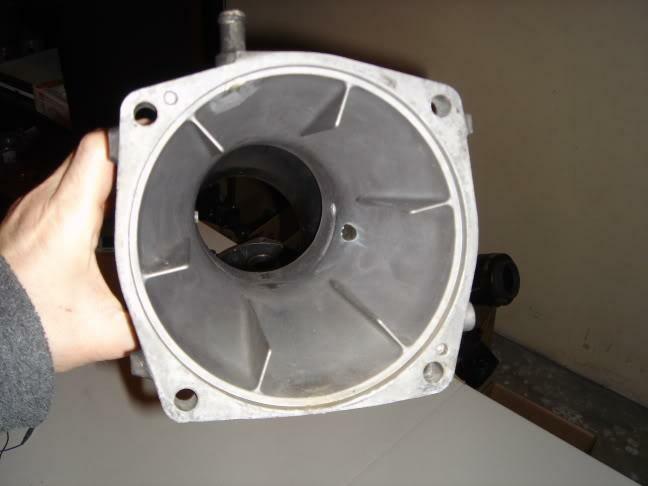 I am using an OEM pump shoe properly sealed with a modified Worx double bar intake grate. I no longer use R&D double bar intake grates on my skis because there have been to many instances where these grates have broken. 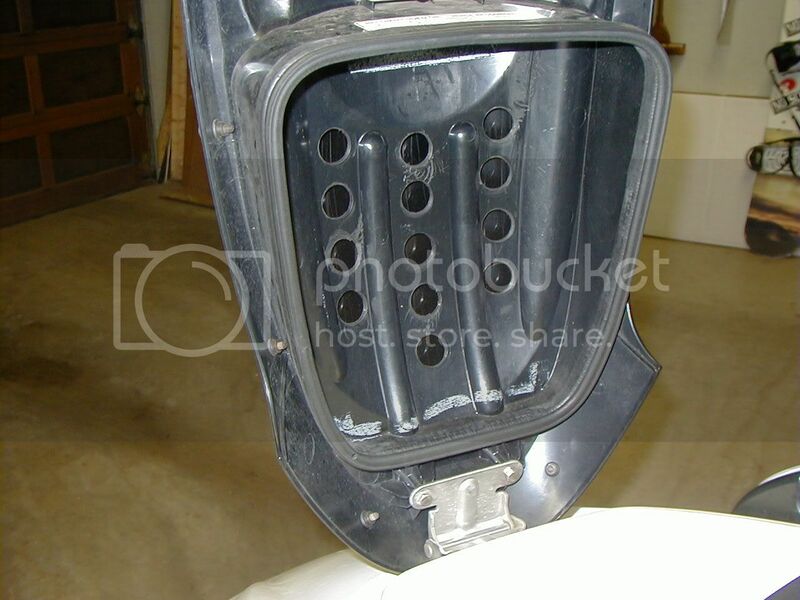 The intake grate has been blueprinted so it fits the shoe properly. "When you have your pump shoe out bolt the intake grate to the shoe and match the grate to the shoe by grinding the shoe and grate till they match exactly on the inside as well as under side. The fit of the grate to the shoe is very bad. I also do a second grate (Spare) Since a purfect match can't be done once the shoe has been sealed in. Also when sealing the shoe and transom plate in I use muratic acid to ecth plate and shoe so the sealer will stick to both good. The proper sealing of the shoe and transom plate is a must for a super fast ski." 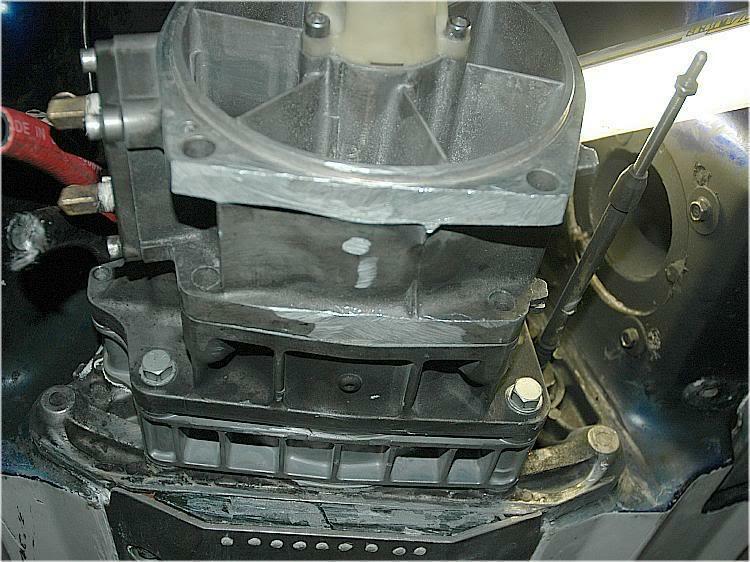 It is not safe to use the OEM intake grate on a modified GPR. I am using 2005/2006/2007 GPR pump. The impeller pitch I am using is Dynafly 15/25 SB. Impros pitched the impeller. All blades are pitched identically. I do not use an impeller nose cone. For this motor a 15/25 pitch is a little too high. I have also tested using a Dynafly 14/22.5, whick was too low. With the 15/22.5 my rpms went up but I lost .5 mph. A 14/24 would probably be the ideal pitch. With a 2005 GPR pump I am using an 85 mm GP1300R nozzle. With this unported motor the 85 was faster than the 87. Some skis with more HP may require using an 87 mm nozzle. I added an electric bilge pump and I removed the pump nozzle siphon tube. To provide clearance for the angled rideplate the bottom of the nozzle had some material removed using a hand grinder. I have reinforced the pump tunnel. To do this I used layers of fiberglass cloth and Epoxy resin. With the SMC hulls any glue or resin used must be epoxy based in order for it to stick to the hull. 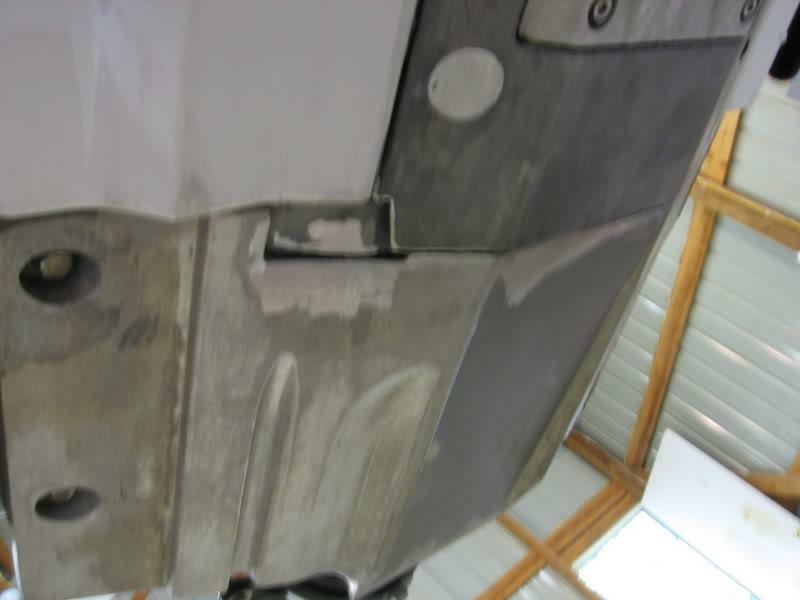 Note: if you are using a 2003 or newer hull I would suggest you use the R&D carbon fiber tunnel reinforcement kit or use a fiberglass tunnel reinforcement kit. There are a bunch of mods that you sometimes see suggested that I didn't do on this ski because my testing has shown they do not provide any speed gain. I often ride in really rough water on Lake Ontario. I often see 2 to 3 ft chop. I also enjoy running around a CC race set-up. This is the ski set-up I use when having fun in these conditions. Until you have ridden a ski in rough water set-up like this you can't appreciate just how good a GPR can handle. The following links are for various test results I have posted over the years. Last edited by philip_gpr; 03-15-2008 at 10:52 PM. Good post, Phillip, lots of good info! So when do we get to see some numbers? I am still working on trying to get this unported 1300 to 80. I actually do most of my testing with the ski bolted down to the water. Where I ride, Lake Ontario, it is always rough so I have to have the ski planted. I am 1.5 to 2 mph faster than last year so I am making progress. One of these days I will put the speed stuff back on and see what she will do. I also have a setback 14 vein Skat pump I sometmes use. Now with this set-up the handling is amazing - this is a true rough water set-up. Wow, nice! I am going to try and do the powervalve thing soon. can you explain a little more in detail. the FF/island racing 4 rideplate mod. I'm lost. philip, any reason you chose the pv cylinders instead of the later non-pv cyls? 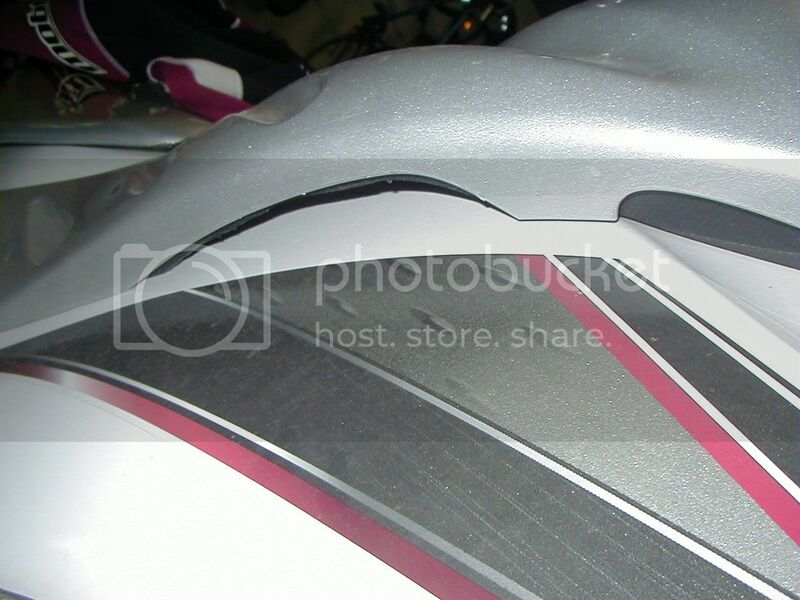 Can you please provide more detailed information on the Rideplate mods which you have done. On a 1300 motor, if you have the choice, the PV cylinders will make more mid range HP. On this ski I am using an unported motor and I am amazed at the get up and go it has. On my 1500 that I am building I went with non PV cylinders. With larger bore motors the need for the PV diminishes. In 2004 I had a 1360 motor (which I never should have sold which is another story) and with the PVs manually set open it would still pull hard from a standing start. Speaking for the collective, we all thank you for your hard work in figuring out what works and what does not, Philip. Additionally, summarizing all of what you found in an easy to read write up written articulately makes things easier for all of us who just want to go faster without having to parse through nonsense and speculation. The fact that you have limited time to test because of your location makes it even more incredible. I need to get busy on some of this stuff!